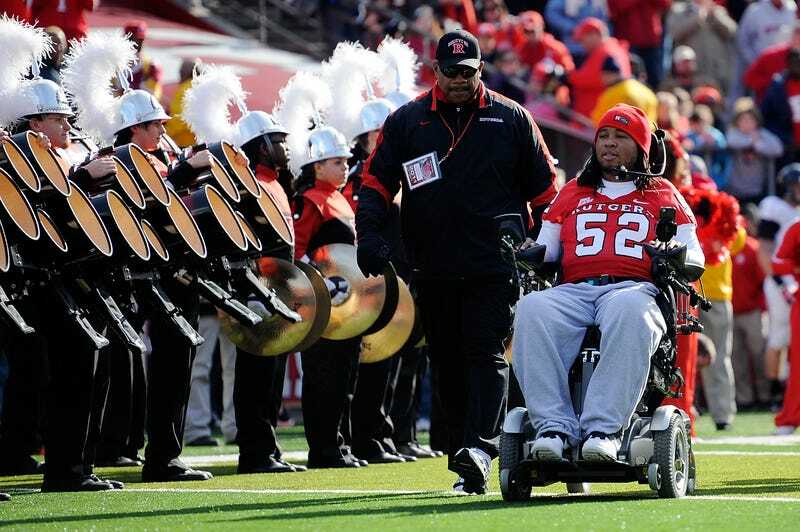 Eric LeGrand was a special teams player for Rutgers in October 2010, when he was paralyzed from the neck down after making a tackle against Army. His coach at the time was Greg Schiano, who often did his best afterward to make LeGrand feel like he was still a part of the team. And now that Schiano has moved on to the Tampa Bay Buccaneers, he's bringing LeGrand with him. Today, the Bucs announced they have signed LeGrand to their 90-man offseason roster. Which is just cool.